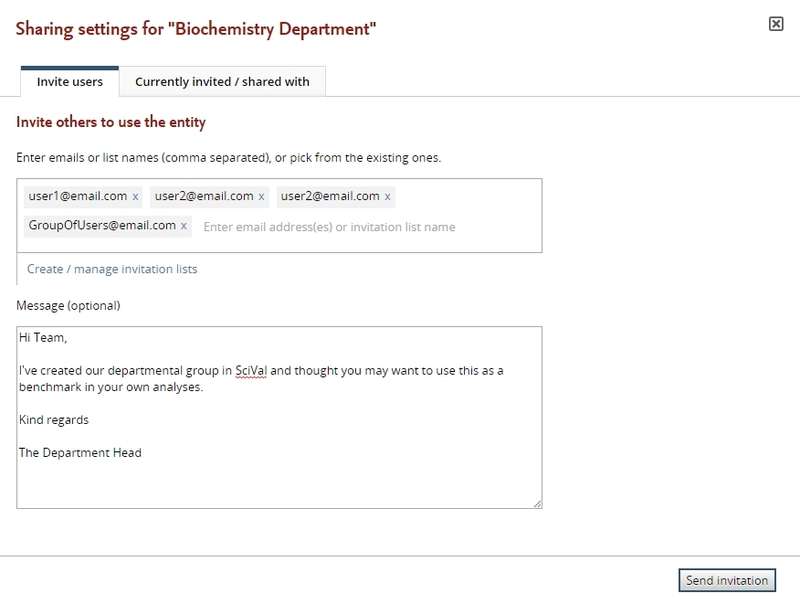 The April 8, 2015 release of SciVal brings with it a number of improvements to help you analyze more deeply and share your work more easily with your institutional peers. 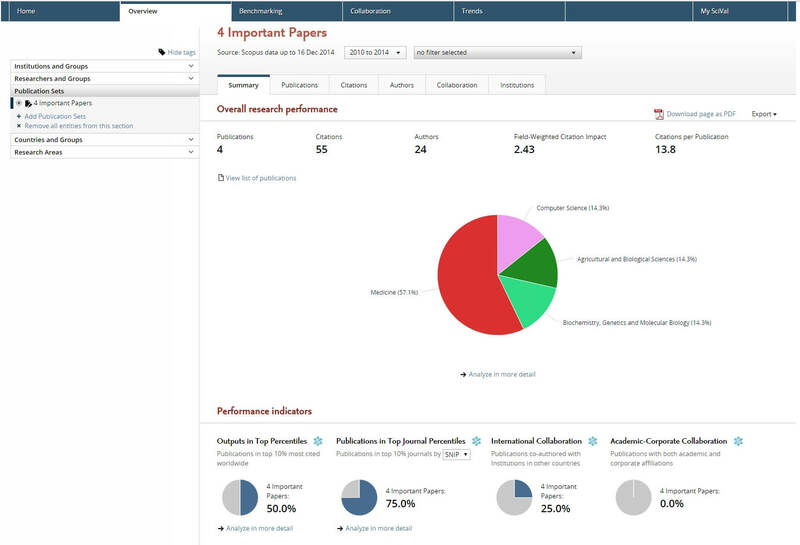 It is now possible to get instant performance snapshots of your Publication Sets in the Overview module, then dive deeper to see the top performing authors and intuitions for potential recruitment, retention and collaboration strategies. Analyze further to see the impact of these documents with indicators such as Output in Top Percentiles, Field-Weighted Citation Impact and International Collaboration. 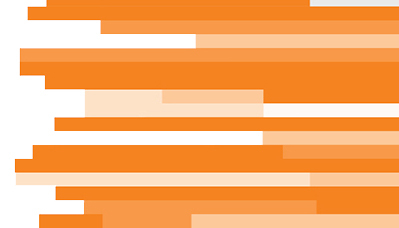 Get deeper insights from your Scopus search results with SciVal - perform a basic analysis on a specific set of publications in Scopus, then seamlessly transfer those publications to SciVal as a Publication Set for deeper analysis. Create any entity once, such as a researcher, a group of researchers, a Publication Set or Research Area, then easily share them with any groups or individuals within your institution. Reports can be easily created and shared with the new print and PDF save options. 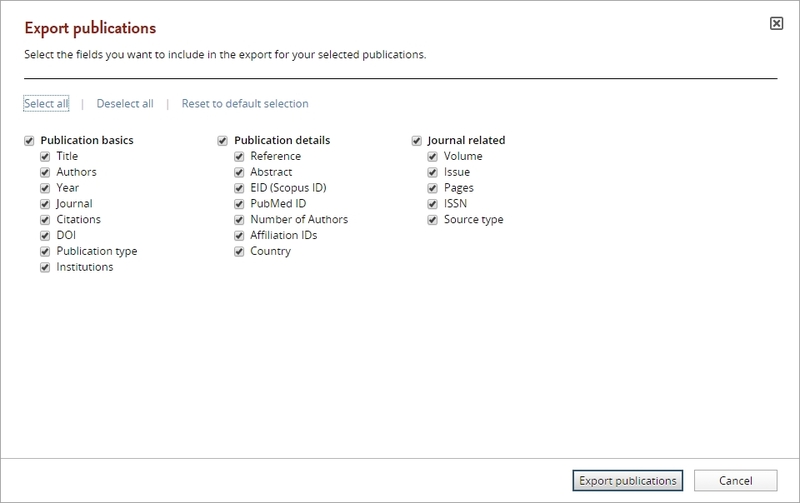 Greater flexibility for further analyses is possible through the addition of an export facility in the Trends module and increased export fields for publication lists. 11 additional fields have been added to allow more in-depth analysis outside of SciVal. i.e. you can now remove papers with large numbers of authors from your analysis. Simply select the “Number of Authors” field and filter out the high numbers using Excel. A back-up map provider in the Collaboration and Trends modules ensures that our map facilities are available even if Google Maps are inaccessible.